One of my friends recommended this documentary on her insta-story and decided to give it a watch while running on my treadmill. It was fantastic. I knew very little about Gloria Allred other than she seemed to represent famous women being wronged and that isn't incorrect but she is so much more then that. She never set out to be a women's rights activist. She did her master's on minority rights and when she finished she was asked when she was going to start fighting for women's rights and she was surprised because she didn't know that we didn't have less rights. She fought for gender neutral toys for children long before it was a thing, she was trying to get the #metoo and #timesup movements going long before the end of 2017. And most of the cases she takes on are done by her for free. Truly, this documentary is worth every second that you watch it and it is currently available to stream on Netflix Canada. Go do it now!! I haven't watched this movie in forever and I had seriously forgotten about how funny and fantastic the movie is. I watched it over 2 long runs on the treadmill and it made go by so fast. Only the second one is streaming on Netflix Canada but you should watch it. On that note, do you know where I can stream the first one? Finley wants to watch it haha. I don't remember the last time I binged watched a season on Netflix the way I did this one. 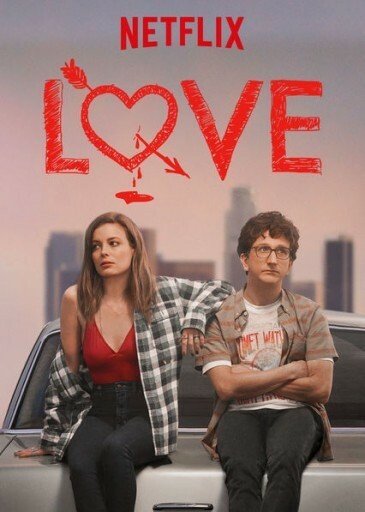 Currently one season is streaming and there is only 10 episodes per season and all episodes are under 30 minutes long. I loved every single episode and all of the characters - even the not so good ones. I was actaully super sad when it ended. This is not a Netflix Original series but it comes from Bravo and a second season is scheduled for release of April 9th or something. I don't get that channel so I hope I can stream it on Netflix soon. Go check it out, you wont be disappointed. YOu can stream it currently on Netflix Canada. The third season was released in March and i downloaded it to my ipad for our trip back to Saskatoon but I never did watch it but I did watch most of it flying to and from Chicago the following weekend. It was a great season and the ending was fantastic. When I was searching for an image for this blog post, I saw that this was the final season of the series and my heart was so sad. Although i took me awhile to get into the first season, it quickly became one of my favorites. I love me some Mickey + Gus. Anyways, all three seasons are currently streaming on Netflix Canada and you should definitely go watch them if you haven't already. 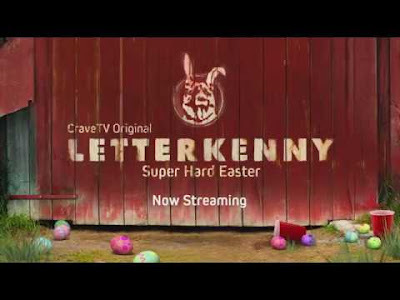 This was a quick 30 minute or so episode that was released for Easter. It was unmemorable and is currently streaming still on CraveTV. Did you watch any great shows this month?